Used conductive yarn to make a pom-pom and put that onto a bunny. I had trouble getting the tail to work as a DIY switch. 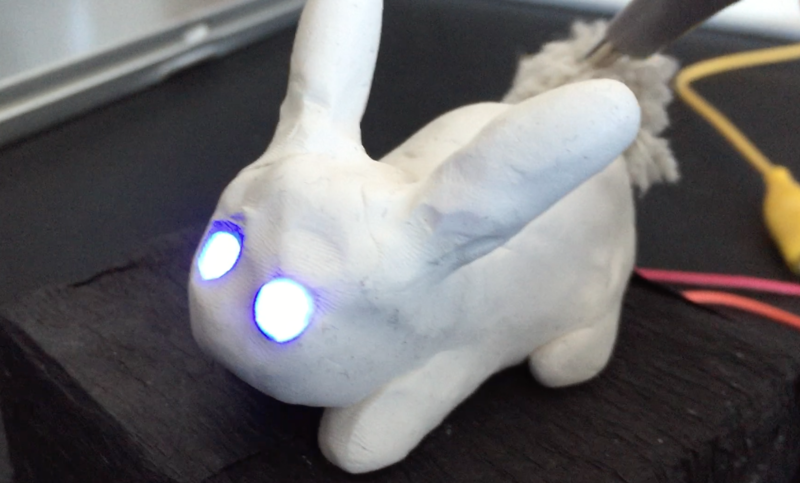 Ultimately I resulted to poking the bunny with something conductive and attached to ground to get it to work. This entry was posted in Week 6: Microcontroller Workshop Part 1 on October 11, 2015 by P.Feng.